Samsung, today announced the Galaxy On Max in India at a price of Rs. 16,900. The phone will be available online at Flipkart and it comes with 4GB of RAM, clubbed with 32GB of internal storage. Specs wise, the Galaxy On Max offers a 5.7-inch FHD display with increased brightness levels. You get the Mediatek MTK P25 Lite Octa Core processor clocked at 1.6 GHz with 4GB of RAM and 32GB onboard storage. The device also has a 13MP camera at the back along with a 13MP snapper at the front with dual-tone LED flashlight. And yes, a 3300mAh battery. The Galaxy On Max features 8.1mm thickness, and it comes with the metal frame. Also, the Galaxy On Max will be available in Black and Gold color variants. 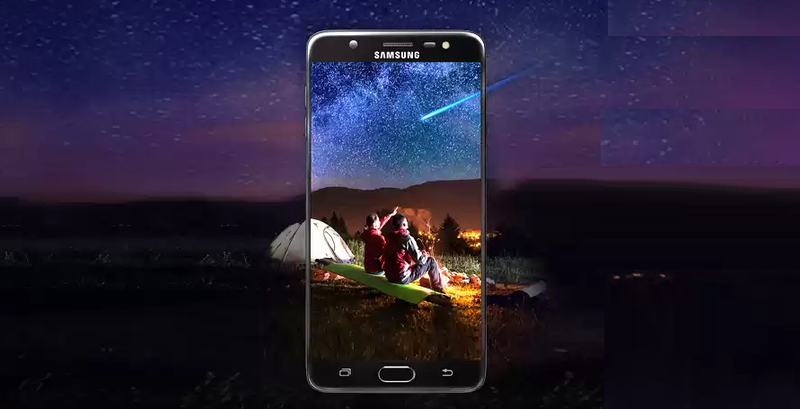 Commenting on the launch, Sandeep Singh Arora, Vice President of Samsung India, said, "Today consumers use their smartphones to capture memories. Galaxy On Max is the perfect device for this, enabling users to click brilliant photographs under all light conditions. It also offers the option of sharing pictures on-the-go with a single click. Galaxy On Max will redefine the way people click and share pictures."